Phytoplankton are teeny-tiny (microscopic) plant-like organisms. The name phytoplankton comes from the Greek for “plant drifters” because these photosynthetic creatures typically drift about in the ocean, absorbing sunlight and turning it into delicious sugars. In turn, filter feeding invertebrates, like the sponges, clams and corals in your saltwater tank, eat the phytoplankton for their own nutrition. Phytoplankton are a particularly good source of nutrition for marine life, because they generally have a high concentration of Omega-3 unsaturated fatty acids (fish oils) that many fish and invertebrates require in their diets. Nannochloropsis is perhaps the most commonly available phytoplankton strain. It is a well-balanced phytoplankton strain with relatively high levels of fatty acids (HUFAs) and EPA, which is important for the growth of larval fishes (and I extrapolate from that fact…just about everything else). 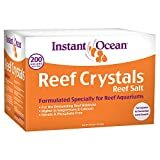 If you are interested in breeding saltwater fish, this may be the best all-around strain for you to consider and is probably the strain I would recommend you start with. It is also thought that Nannochloropsis has some antibacterial properties. A thriving culture of Nannochloropsis is a vibrant green color. According to Advanced Aquarist, Nannochloropsis has very high levels of HUFA ~16-43%. Isochrysis, also known as T-ISO, is also a well balanced nutritionally, helps in the development of larvae, and has lesser antibacterial benefits. According to Joyce Wilkerson’s book, Clownfishes: A Guide to their Captive Care, Breeding and Natural History ( a book I highly recommend if you have any interest in breeding saltwater fish on your own), Isochrysis is a strain that is commonly used in clam (and other bivalve) culturing. Isochrysis, or T-ISO cultures are an unrewarding brown color. T-ISO is thought to have moderate levels of EPA and DHA, both of which are important nutritional components for marine life. Another popularly cultured strain is Tetraselmis. This species grows well in culture and has a nutritional profile that is distinct from, but probably nutritionally inferior to the other two strains…meaning that it could provide some benefit as part of a varied diet if you wish to grow and/or feed multiple strains to the livestock in your saltwater tank. By phytoplankton standards, the cells are a bit large. Advanced Aquarist suggests EPA and DHA levels for Tetraselmis are about 5 and 7% respectively. Growing your own culture can be a moderate investment in time and energy. It takes a little time to set up your culturing station and get the stuff to grow. Once established, the phyto strains listed above in this article are relatively hardy and should continue to grow ‘on their own’, but keeping the culture vibrant generally requires a few minutes of maintenance almost every day. If you miss too many days in a row, your culture may crash. 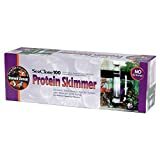 The good news is that there are several commercial products you can purchase to have the benefits of dosing phytoplankton in your saltwater tank without the maintenance required to grow your own. Click here to read more about how to culture your own phytoplankton. Since phytoplankton are a natural, nutritious food source for your clams and other bivalves, as well as corals and sponges, many aquarists dose phyto in their aquarium as a supplement to their usual feeding schedule. Not all invertebrates will actually eat the phyto you add to your saltwater tank, so dosing phyto is not for everyone. In fact, the topic of whether or not to dose phytoplankton in a saltwater tank can be a bit controversial at times, with advocates in favor of and against dosing. 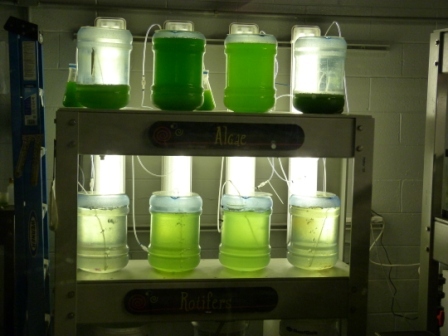 The arguments for dosing phytoplankton are generally rooted on the fact that phytoplankton are a natural food for many saltwater organisms…therefore moderate feeding in a captive environment is likely a good thing. One of the arguments against dosing phytoplankton is that the water that phytoplankton are grown in is typically rich in nitrates and phosphates (ie. Plant food…), so dosing phyto can actually drive up the (unwanted) nutrient levels inside your tank.